Last minute shopping? Send a gift certificate to artbook.com! The perfect way to say Happy Holidays, Best Wishes, or Thank You to art world friends, colleagues, and clients, ARTBOOK Gift Certificates are quick and easy. Your gift recipient will receive an email containing a unique Gift Certificate code in the amount you've chosen, along with your personal message, and instructions for using the Gift Certificate anytime online 7 days a week, 24 hours a day. And we'll treat your recipient to free UPS shipping in the continental U.S. Designer gift certificates to artbook.com are the creative's alternative to gift baskets. 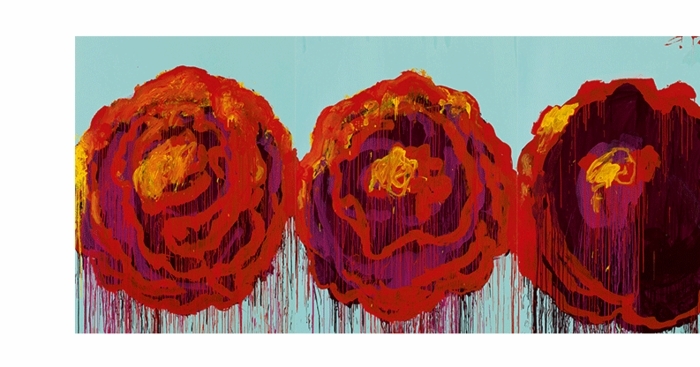 Featured image, a detail of "The Rose (IV)" (2008) is reproduced from The Essential Cy Twombly. Gift Certificates to Artbook.com - "for your library"